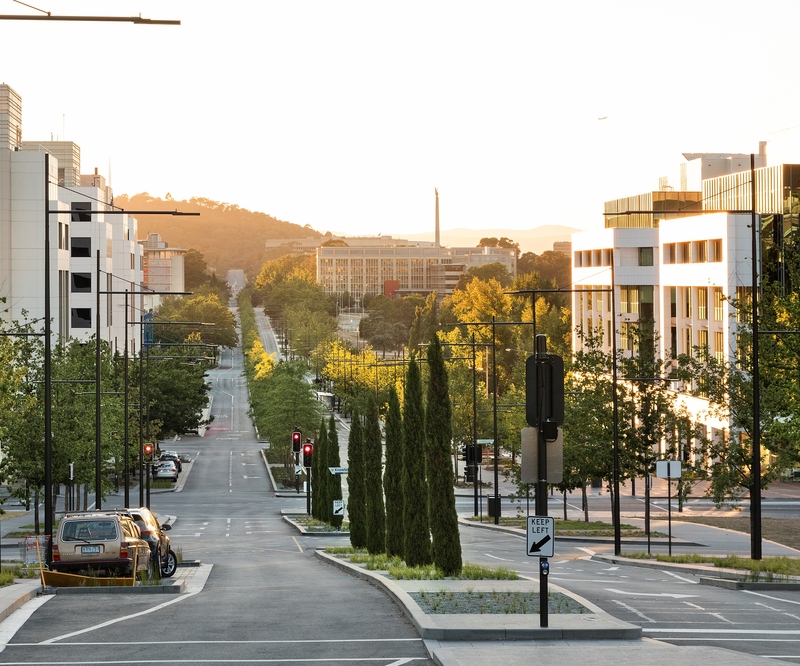 Constitution Avenue Upgrade completed in December 2016, a gift funded by the Australian Government in celebration of Canberra’s Centenary that has resulted in a vibrant, mixed-use, tree-lined grand avenue with enhanced public transport, cycling and pedestrian infrastructure. 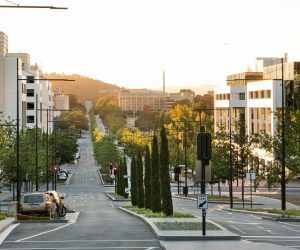 The reconstruction of the almost two kilometres of the heavily trafficked avenue in the middle of the city has resulted in a multiple award winning piece of infrastructure which incorporates landscaped pedestrian places with enhanced lighting, street furniture and wide pedestrian zones for people to move and meet. Dedicated bus lanes and bus priority at intersections as well as segregated cycle lanes all help promote sustainable transport along the avenue and incorporating advanced tree plantings, instantly take away the harshness of the city landscape around it. John Gorton Drive completed in November 2016 remains the largest construction project undertaken by Guideline ACT. As a significant arterial road, the scope of work included the construction of a divided dual lane arterial road, extending the newly constructed John Gorton Drive further north approximately 1.5km from Coombs to Denman Prospect, including two significant single span bridge structures, trunk sewer and water main, permanent water feature ponds, temporary silt ponds service relocations and signalized intersections. The project facilitated the accreditation of OFSC for Guideline ACT and received numerous awards during and after its construction. The Molonglo Valley urban development Stage 2, which is expected to accommodate approximately 55,000 residents over the next 30 years, required various preliminary infrastructures. 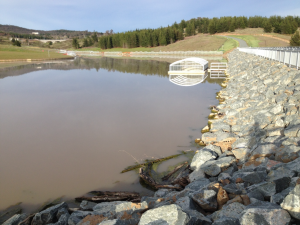 The Cravens Creek Water Quality Control Pond has formed part of that infrastructure, acting as an intermediary between the Molonglo River and the potential overland flow of the surrounding residential developments. Key components of the Cravens Creek WQCP construction include the embankment – constructed as six tier, layered earthen dam with materials ergonomically sourced from onsite excavations, the primary spillway – a 500m3 cast in situ concrete spillway comprised of an intake tower, outlet conduit and steel arch inlet cover, internal drainage point for future maintenance and concrete stilling basin with surrounding gabion mattresses and walls designed to ensure dissipation downstream of the spillway. The WQCP has been designed to withstand and manage discharge rates up to the design 5 year ARI event and convey peak flows up to the 20 year ARI event through the primary spillway. 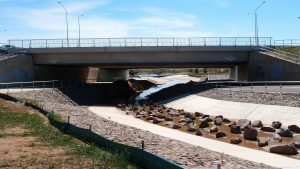 To account for greater ARI events a secondary spillway has been constructed in the form of a grassed channel to attenuate the flows from 20 year ARI event up to the 10,000 year ARI event. The project was completed in 2016. Works involved the delivery of a DN450 offtake cut into the DN1800 bulk water pipeline. The new connection includes 30m of new DN1800 pipeline inclusive of 2No.DN1800 butterfly valves, bypasses, scours, DN450 offtake manifold and construction of valve chamber. The DN450 offtake manifold connects to the Bulk water pump station suction main at the tie in point adjacent to the Bulk Water Pump Station building and then pumps to the new township of Googong supplying uninterrupted drinking water. 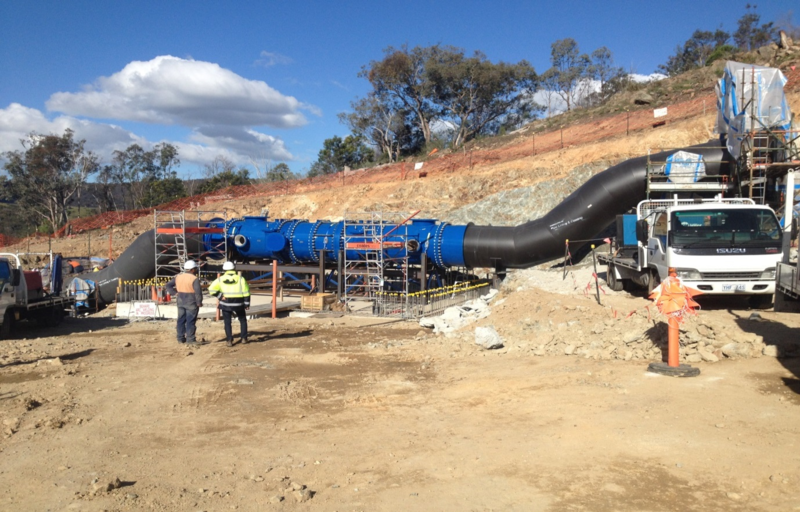 The project involved the construction of the Lyneham & Dickson Wetlands and associated works including pump stations. Completed in 2012, the project involved the construction of the Dickson & Lyneham Wetlands and associated works including pump stations. The Lyneham & Dickson Wetlands were part of a suite of wetlands to be constructed in the Sullivans Creek Catchment. 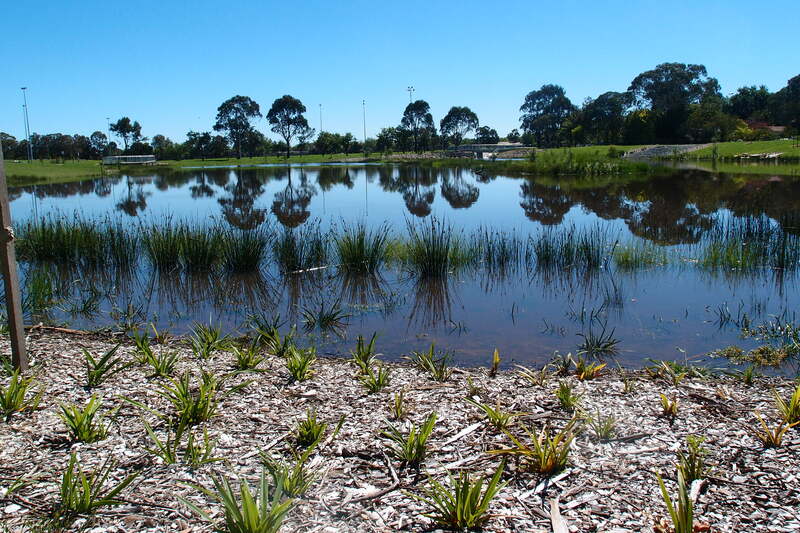 The wetlands consist of a large landscaped stormwater retention basin at both sites complete with inlet and outlet structures and a pump station, with the future aim of harvesting the stormwater and using it to water the local sporting fields. The pond area includes shared paths, new pedestrian footbridges and the realignment of the main community footpath route. 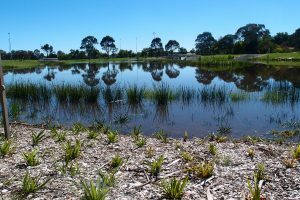 The main purpose of the Lyneham & Dickson Wetlands project is to provide water quality improvements, water for irrigation, increasing aquatic and terrestrial habitat in urban areas and creating recreational, volunteering and educational opportunities. Completed in 2010, Tharwa Bridge Upgrade stage 2- Substructure and approach span strengthening project involved strengthening the 115 year old bridge as part of an overall project to restore the bridge to its former glory and increase its load bearing capacity without affecting its heritage value. 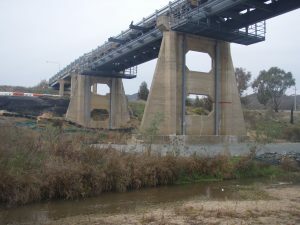 The project involved a number of factors making it “more than a simple construction job” because of the heritage value, the environmental factors associated with working over flowing water, and emotional impact as the bridge is an iconic structure deeply embedded in the Tharwa community psyche. The work involved strengthening 5 existing concrete pier foundations by way of jet grouting and ground anchors, strengthening the remaining 6 piers via carbon fibre straps to the head stock and replacement of both abutments including foundations. Strengthening the approach spans was achieved by installing additional steel girders for spans 1 to 5 and 10 to 12. 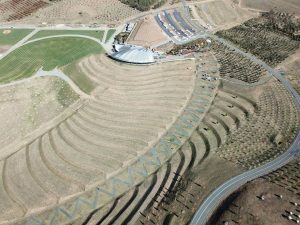 Completed in 2010, the construction of the Central Valley, an 8 hectare section of the National Arboretum Canberra project, where a series of 36 earth terraces down the side of a hill create a dramatic public garden of international interest. 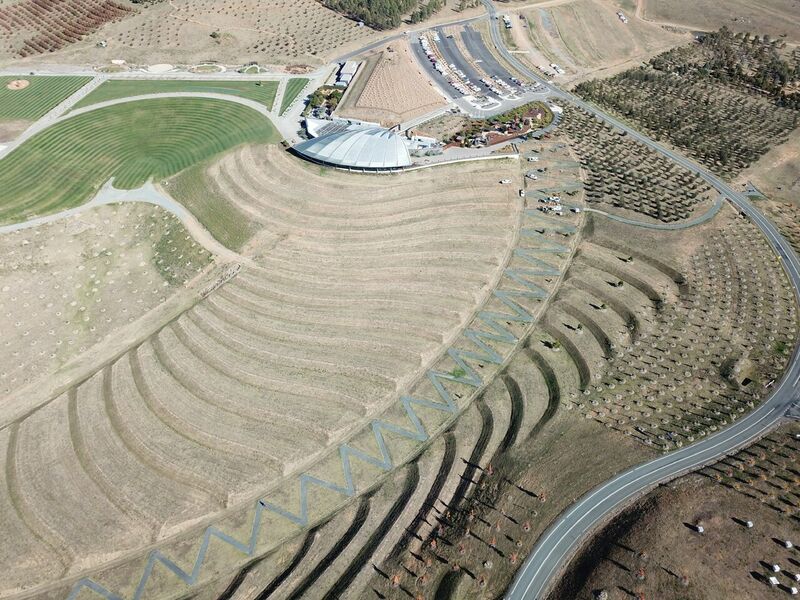 The construction team, Guideline ACT, brought its engineering expertise to a large scale work of art ensuring the design intent was delivered, constructing the terraces to sound engineering principles. Cotter dam, a mass concrete gravity dam, was constructed in 1912 and was raised in 1949. Concerns about ageing and structural integrity of the dam were broached as early as 1967 and with the revision to the probable maximum flood and earthquake requirements of 1 in 10,000 years, plus the proximity to a popular recreational resort, the decision was made to strengthen the dam. 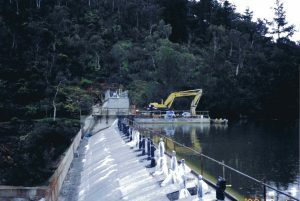 The Cotter Dam Remedial Works construction is a signature project for Guideline ACT. Completed in 1999, it was an innovative, difficult and dangerous undertaking, involving an inventive approach to construction and a high level of detail and control. This is the calibre of project Guideline ACT has built its reputation on.